‘A sinner pressed in conscience by the burden of uncleanness and guilt finds relief, not by reminding himself that his faith is evangelical righteousness by a new law, but by looking to the cross of Christ’. In the last Analysis I argued that there are striking formal similarities between the views of Richard Baxter (in his Aphorisms of Justification) and Bishop N.T. Wright on justification. The most striking is that there is no provision in either view, so it would seem, for the idea of double justification, so prominent in the views of the Reformers. This is the idea that even our best efforts are tainted by sin and need the pardon of the Saviour. This failure to recognise this, at least in a way that is consistent with their ideas of justification, affects their view of Christian aspiration, of what it is that Christians hope and strive for, both the matter of it and the manner of it. ‘Aspirational Theology’, the title of this Analysis, is not (I hope) destined to join the ever-growing list of ‘theologies’: ‘Biblical theology’, ‘spiritual theology’ , ‘theology of culture’, ‘theology of work’, ‘theology of leisure’ and the rest. It is simply a way of noting that the New Testament portrays the Christian as aspiring for wholeness, completion, perfection. (I reject the phrase ‘spiritual theology’ because of its narcissistic overtones, and the ease with which the human spirit may replace the divine Spirit in such a ‘theology’.) Christian aspiration is a development in line, of course, with the aspirations of the Old Testament saints, for example in the Psalms. I shall argue that such longings, both the fact of them, and their nature, are intelligible – and rational – only in a particular theological context, a context that has at its centre justification through the imputation of the righteousness of Christ. J.I. Packer says this of Richard Baxter’s inadequate view of justification. Piper is making Packer’s point, that faith is the outstretched hand of the spiritual bankrupt, not the signing on of a resolute volunteer. On the road to Damascus, Saul was not volunteering to work for Jesus, but receiving his astonishing mercy. A little before this John Piper says that Bishop N.T. Wright’s views are ‘minimally experiential’. (87) This seems to be almost an aside, like his remarks on the Christian’s need for double justification referred to in the last Analysis. It is a comment that may nevertheless have great importance. The aspiration of a resolute volunteer, or of someone who suddenly acquires a vocation, has a rather different character from that of a spiritual bankrupt. What does the believer whose faith is characterised as ‘self-despairing trust’, ‘the outstretched hand of the spiritual bankrupt’ (Packer’s phrases) aspire to? Usually we answer this question in terms of mortification and vivification, the putting off of the old man and the putting on of the new, as in Ephesians and Colossians, and so we should. But there’s more to aspiration than this, important as it is. Aspiration at its deepest explicitly links the Christian with the imputation of Christ’s righteousness that is central to justification by faith, and that is unintelligible without it. It’s this that we shall think about in what follows. Here Paul expresses his aspiration to be found in Christ having the righteousness of God which comes by faith. Having such righteousness is not a means to an end, it is itself the end. According to him we ‘gain Christ’ by losing all we that we have, in the sense that we no longer trust or rely on it before God. The things that we have or do are not to be regarded any longer as ‘gain’. We are to let go not only the law, which Paul discusses in the passage immediately before the one quoted, (and which might be thought to have a restrictedly Jewish reference), but everything is to be counted as loss and as rubbish in order to hold, and to keep hold of, the righteousness of God. Paul’s deepest aspiration is not to let anything get in the way of having the righteousness which depends on faith, and the prospect of having this righteousness rests on the fact of his union with Christ, and hence in his sharing in the power of his resurrection. To know Christ and the power of his resurrection, and to share in his sufferings, becoming like him in his death is not, despite Paul's reference to 'the resurrection from the dead', to be regarded only as an eschatological hope. No doubt when the resurrection is realised, then that loss of all things, and the gaining of Christ, being found in him having a righteousness which comes from faith, will be understood and experienced in its completeness. But until that time the Christian struggles to rid himself of the continued encroachments of self-righteousness. The strong inclination to assert one’s own self continually recurs. In its character, such resisting is like Christ’s resistance against temptation from demonic suggestions to leave the path of his Father’s will, and in such struggles the Christian both shares in the sufferings of Christ, and experiences something of the power of his resurrection. I think that John Calvin is here expressing the same thought in a different way. Sharing in the sufferings of Christ is not of course, an act of co-redemption. It is Paul’s way of saying that he strives to rid himself of all that may get in the way, and block him from, the surpassing worth of knowing Jesus. For it is that righteousness which we shall need and enjoy at the last. (There's more to Paul's understanding of Jesus than 'letting Jesus into your life'.) So Paul’s aspiration is grounded in his present enjoyment of the righteousness which is of God by faith, and which is motivated by the desire for a fuller and purer realisation of it. What is most interesting here is that Paul thinks of those things which previously were gain to him as being impediments to his being found at the last clothed with the righteousness of Christ. Similarly, Christ’s temptations, against which he battled, and which caused him suffering, were potential impediments to his doing the will of his Father. Hence Paul’s reference to the sufferings of Christ. His sense of this is the very opposite of the idea that we are co-sufferers with Christ. Sharing in Christ’s sufferings is not a hint at co-redemption but in participating in the character of those sufferings, not augmenting them. The sufferings of Christ that he refers to do not relate to his penal sufferings, therefore, but to those blocks placed in his way by Satan, by the religious leaders, and by his own disciples, which would hinder the doing of his Father’s will. They relate to Christ's active obedience, as some say. So, to be clothed with the righteousness of Christ is both the motive - that at present a believer only partly realises the fact of being in Christ, which drives him on – and the goal – the full realisation of what it means to be found in Christ, not having one’s own righteousness. Because Christ had made him his own, Paul presses on to make the righteousness of Christ his own by struggling to set aside, in the most deliberate way, anything that would be an impediment to this. This is the discipline of mortification and vivification, but with a clear foundation in Paul’s doctrine of union with Christ, the heart of which is his teaching of justification through an imputed, alien righteousness. Briefly, back to Baxter and Wright. The hope is that the views of each of them, when held and lived consistently, might in some way give expression to this deep Pauline aspiration. But both the logic and the ethics of Paul here are sharply different, so it seems to me, from the express positions of both Richard Baxter and of Bishop Wright. For each of their views on justification compromises in different ways justification through Christ’s alien righteousness, appropriated by faith alone. A sinner pressed by conscience will find relief neither in more works of evangelical obedience nor in a renewed effort to be a bona fide covenant-keeper, but in the precious blood of Christ. To possess the righteousness which this blood bought lies at heart of Christian aspiration. A question has arisen as to whether at one place in his Systematic Theology Charles Hodge says that in developing a doctrine of the inspiration and infallibility of Scripture attention should be paid to the ‘phenomena’. The idea is that this would provide warrant for a doctrine of Scripture that placed equal weight on its teaching about itself and, say, its Ancient Near-Eastern setting. ‘Phenomena’ is an umbrella-term for such things as apparent inconsistencies and inaccuracies in the text of Scripture, critical theories about the text, the different kinds of literature that the Bible includes and so forth. Here are a few extracts on the issue, first from Hodge, and then from B.B. Warfield. The last part of Warfield’s paper ‘The Real Problem of Inspiration’ (Reprinted in Revelation and Inspiration) contains the fullest treatment of this issue from an old Princetonian that I know of. What has attracted attention is that at one point Hodge says that ‘Our views of inspiration must be determined by the phenomena of the Bible as well as from the didactic statements’. This may look like a statement that inspiration must be determined equally from the Bible’s teaching and the phenomena. But note that Hodge makes this statement in a section headed ‘Discrepancies and Errors’, and it is a subheading of Objections to inspiration and infallibility etc. So Hodge at this point is dealing with objections to what he takes to be the stated doctrine of Scripture. This is what he says in the passage in which the sentence about phenomena occurs. So by ‘phenomena’ here Hodge means apparent contradictions in Scripture, or the inconsistency between the teaching of Scripture and established scientific fact, or the individual style of each author etc. Note that he judges the importance of didactic statements to be greater than that of ‘phenomena’. These statements in Scritpure about Scripture are not among the phenomena but are distinct from it, and prior to it. 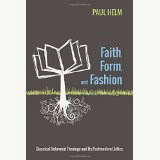 The second of the phenomena, the individual style of each biblical writer, is simply a datum for a developed view of inspiration, and so is relevant to our overall view of inspiration. Inspiration is as a consequence (in Hodge’s view) not ‘mechanical’, but ‘organic’, as they say. The first refers to apparent features of Scripture arising from internal consistency and the relationship between its teaching and established facts from elsewhere, which, if they are true, are relevant to the denying of inspiration and especially of infallibility. If the teaching of the Bible entails that both p and not-p may be true, or that the Earth is flat, then this is relevant to the nature of its authority. So there’s an important difference in method between saying ‘the phenomena must be taken into account’ and ‘the phenomena must be taken into account in a way that gives them parity with the teaching of Scripture respecting its own inspiration, or priority over that teaching’. In what is the gem on the issue of the place of the phenomena in the developing of a doctrine of Scripture, B.B. Warfield’s ‘The Real Problem of Inspiration’, he certainly does not deny any force whatsoever to the phenomena, simply brushing them to one side as he powers his way to a doctrine of inspiration and infallibility. At the same time he is adamant that (a) the doctrine of inspiration is to be built first from the didactic statements which we find in Scripture, including many of its incidental allusions, and not from both the phenomena and the statements in parity, and therefore (b) that such relevance as the phenomena have must be subordinate to the teaching. Hodge’s procedure, to deal with objections only once one has set out the doctrine in terms of the Bible’s own witness to itself, is entirely in line with the logic of Warfield’s position. Or vice versa, if you prefer. But what of such things as the structure of Scripture, ‘especially as determined by some special school of modern research by critical methods certainly not infallible and to the best of our own judgment not even reasonable’, (‘The Real Problem of Inspiration’, 205) the identification of certain prima facie discrepancies, and the like. Warfield also, like Hodge, refers to such things, along with style and genre, as ‘the phenomena’. If the Biblical facts and teaching are taken as co-factors in the induction, the procedure …...is liable to the danger of modifying the teaching by the facts without clear recognition of what is being done; the result of which would be the loss from observation of one main fact of errancy, viz., the inaccuracy of the teaching of the Scriptures as to their own inspiration. This would vitiate the whole result: and this vitiation of the result can be avoided only by ascertaining separately the teaching of the Scripture as to its own inspiration, and by accounting the results of this ascertainment one of the facts of the induction. (The Real Problem of Inspiration’, 223). The ‘phenomena’ may be relevant to the exegesis of the texts of Scripture which teach inspiration. Such facts may help us to interpret the assertions of Scripture. To Warfield’s way of thinking, the logical order of the procedure is vital. If, proceeding inductively, we were to begin with the phenomena of Scripture and the statements about inspiration together, giving each of these data equal weight, we would be unable to challenge the phenomena by the statements. So the ‘real problem’ of inspiration, as Warfield understood it, is ‘whether we can still trust the Bible as a guide to doctrine, as a teacher of truth’. 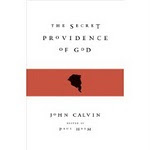 (‘The Real Problem of Inspiration’, 225) This trust means giving that teaching priority over every other fact about Scripture which our inductions may lay bare. What is the exception, the phenomenon which, if it were established, would force us to abandon the teaching? Obviously, a phenomenon which established a manifest contradiction between some of the statements of Scripture would be inconsistent with inspiration and infallibility. But to show this a tall order, and is not to be confused with being unable to harmonise discrepancies. The first is a logical failure, entailing error, the second an epistemic problem which may or may not signal such a logical failure.